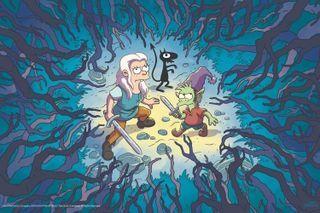 Matt Groening’s The Simpsons is the longest-running television series ever, and following the announcement that his new animated show would be coming to Netflix later this year, we now have our first official look at his upcoming series Disenchantment. 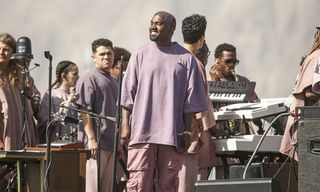 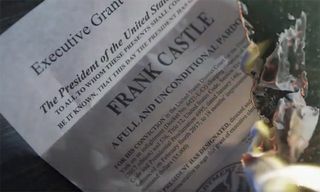 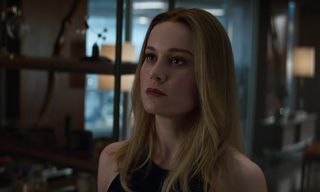 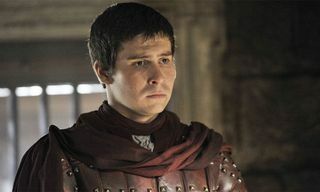 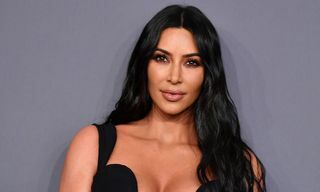 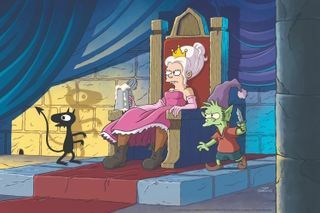 Slated to premiere in August, these first images depict the show’s main characters with Princess Bean, her elf companion Elfo, and her demon Luci. 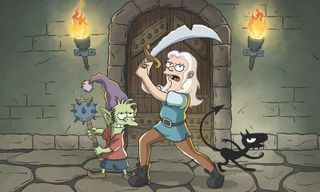 Overall, the imagery showcases that Disenchantment will stay true to Groening’s signature animated staples like The Simpsons and Futurama. 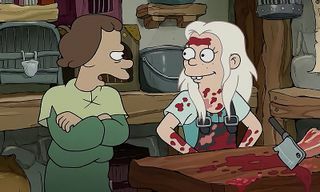 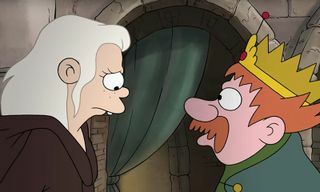 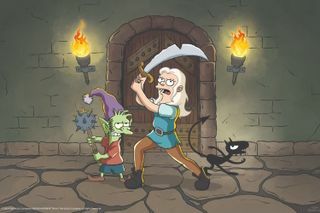 The 10-episode first season of Disenchantment debuts on Netflix on Friday, August 17, featuring the voice talents of Abbi Jacobson voicing Princess Bean, Nat Faxon and Eric Andre playing Elfo and Luci, as well as Billy West, Maurice LaMarche, and John DiMaggio. 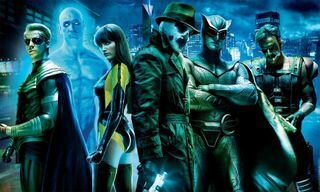 Now, here’s everything coming to and leaving Netflix in June.